We are proud to be recognized by some of the area’s most reputable companies and media outlets. 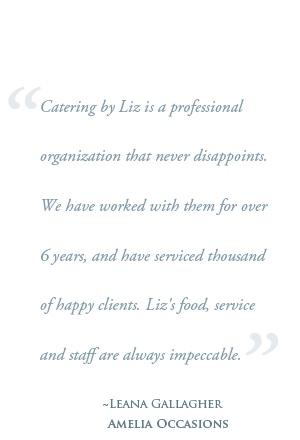 "Catering by Liz provides excellent food and excellent service. I am always happy when one of my clients chooses this company for their catering needs."